The Wire-Langalla sarjan kaikki tuotantokaudet 1-5. One of television's most critically acclaimed programmes, The Wire challenges viewers with a "cop show" unlike anything on air. 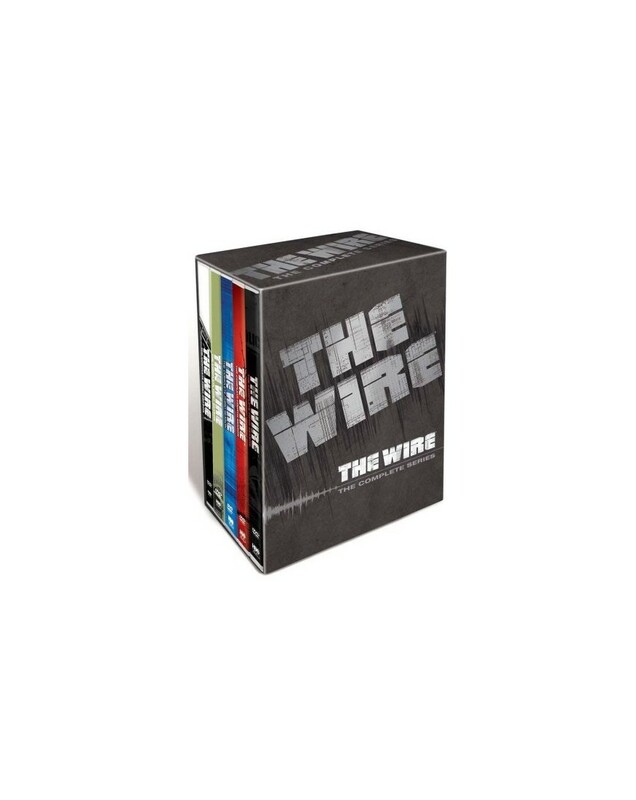 Universally lauded, The Guardian claimed that 'you either love The Wire or you haven't seen it yet' - now there is no excuse with the release of this complete box-set. The HBO series addresses the seedy side of Baltimore's finest looking into money, drugs, politics and murder. Told from the point of view of both the police and their targets, the series captures a universe of subterfuge and surveillance, where easy distinctions between good and evil, and crime and punishment, are challenged at every turn. A study on urban life in one of America's toughest cities, each season of The Wire has focused on a different aspect of Baltimore, starting with the police force and the drug trade, then moving on to City Hall, the education system and concluding with the media. Over the course of five seasons, David Simon has endeavoured to build a city. It is a groundbreaking, complex and political look at the streets of America, detailed and fiercely intelligent; there is no other show like it on TV.